If your kids just LOVE to put things together and take them apart, then this is the buying guide for you! These fun building toys for kids are destined to become some of the most used toys you have in your collection. And why it that? It’s because construction toys are open-ended with endless possibilities. 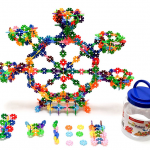 These building toys for kids allow for hours of creative and imaginative play. Another plus is that kids don’t seem to outgrow these types of toys so quickly. Their construction projects just get more complex over time as their skill set grows. That makes building toys for kids a smart investment. These construction toys for toddlers on up aren’t going to go out of style, or get tossed by the wayside after a few play sessions. You’ll get a lot more bang for your buck! When kids engage with this type of toy they’re developing their motor skills, math skills, spatial skills, and problem-solving skills. Plus who knows? You might just inspire the architect or engineer of tomorrow! Here are our picks for the best building toys for kids. 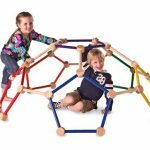 These toys are sturdy, well-designed, and highly rated by moms and kids alike. 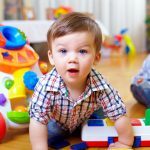 Your child can look forward to many hours of fun, creative play! 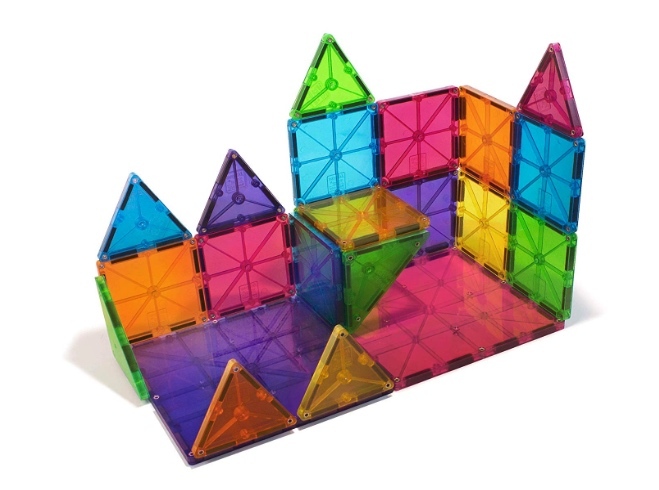 Magna-Tiles are super cool clear plastic 3-D magnetic building tiles.Each tile has magnets along its edges. They magnets attract even when flipped so they’re easy to stick together! Your kids can build all sorts of fun creations, whatever they can dream up. They learn problem-solving, fine motor, and spatial skills. What’s really fun is since the tiles are clear, if you play by a window you get a stained glass effect! 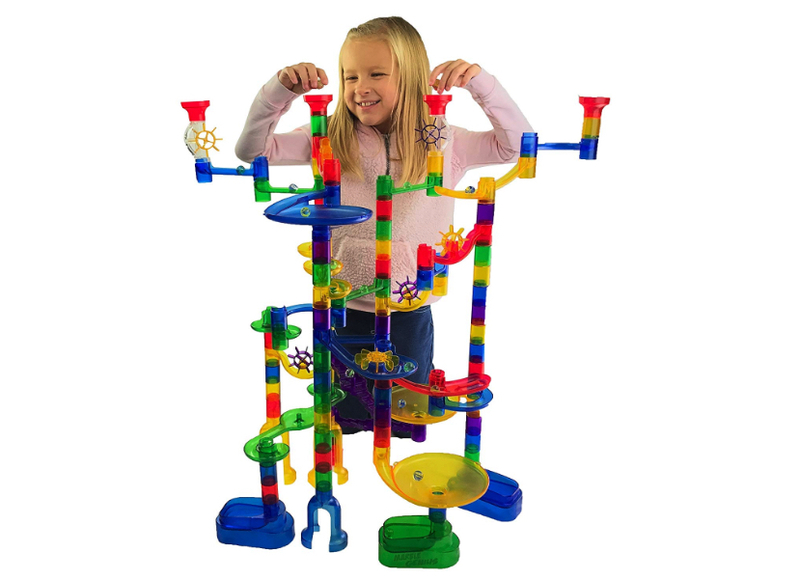 ​​If you are looking for an awesome way to encourage the development of a range of problem solving skills, you can’t go wrong with a marble run. This one from Marble Genius comes with 85 translucent pieces that allow your kids to see the marble as it travels through the set – cool! 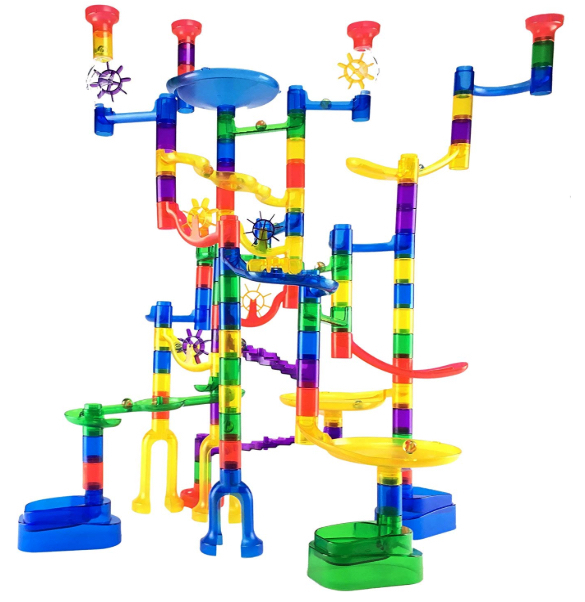 This set comes with so many pieces your child can build some pretty tall and impressive structures! And with almost endless construction possibilities, your kids won’t ever get bored. Brain Flakes are colorful construction discs that click together to create unique works of art. Kids can enjoy hours of imaginative play with this toy. Plus, while they’re building, your kids will be improving their hand-eye coordination and problem solving skills. There’s a reason this set is one of the highest rated building toys. It’s definitely a winner! 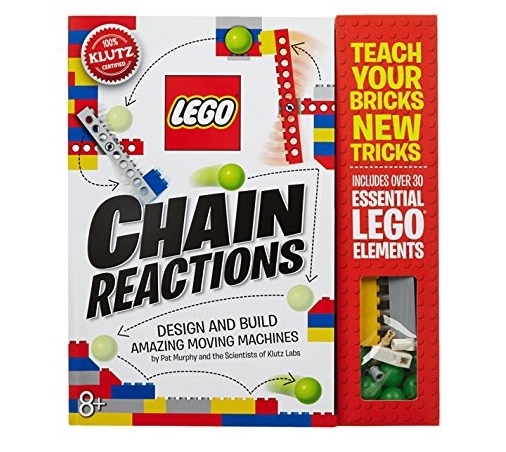 The Lego Chain Reactions building set really sparks creativity. It comes with easy to follow instructions that show your child how to build 10 different Lego machines. How cool is that? The machines have the ability to do all sorts of things; like swing, drop, lift, pivot, or roll. 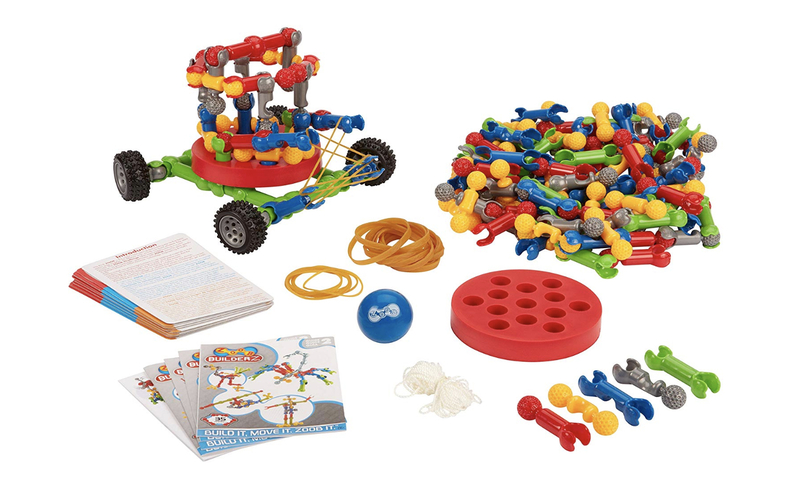 And the coolest part is that you can link machines together to create a chain reaction. This is one of those construction toys that future engineers will LOVE! 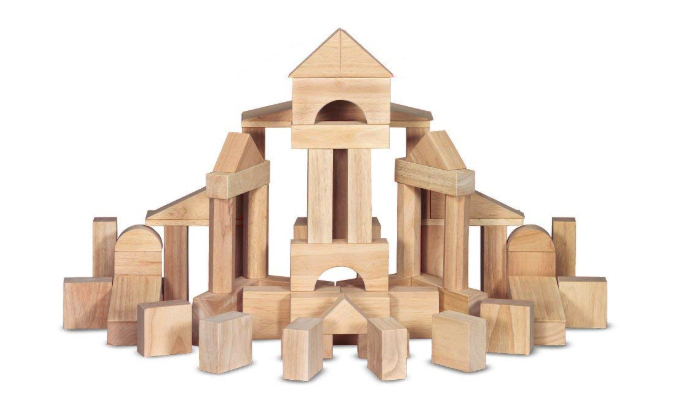 The Melissa & Doug Standard Solid-Wood Building Blocks come with 60 natural finished, smooth-sanded hardwood blocks to inspire hands-on, imaginative play. The blocks are packaged in a cool, wooden tray for easy storage. When it come to building blocks for kids, you can’t go wrong with this highly rated classic. If you haven’t experienced Squigz you’re missing out, because these things are awesome! Squigz are soft, flexible building pieces with suction cups to help them stick to walls, windows, bathtubs, and each other. You can get really creative with these guys! We like how the soft pieces fit safely into little toddler hands, while the versatile shapes allow older kids to build more complex creations. 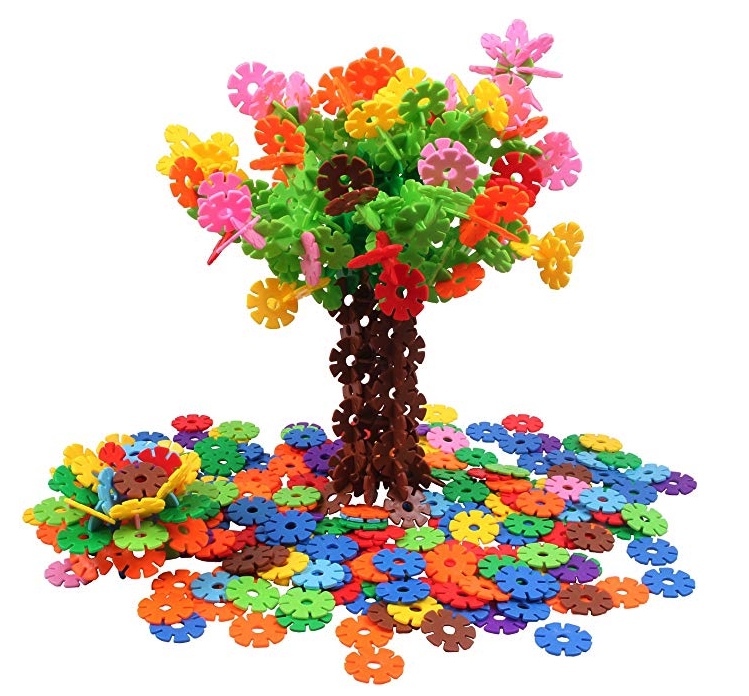 This is a toy that can grow with your child which is why it’s one of our favorite building sets for kids. ZOOB, created by an artist, consist of gears, axles and joints that snap together. When creations are completed, they move like creatures or machines. So cool! ZOOB BuilderZ S.T.E.M. Challenge gives kids tools to design and build creations to solve challenges, such as hitting targets and making balls bounce. Your kids can dream up ingenious solutions for each test, all while learning STEM skills. Related: Can Educational Toys Really Make Your Kids Smarter? SHARE the best building toys for kids on Facebook and Pinterest by clicking the buttons below. Amazing Crime Fighting Female Superhero Toys! 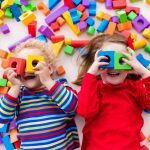 Amazing Learning Toys For Toddlers And Preschoolers!